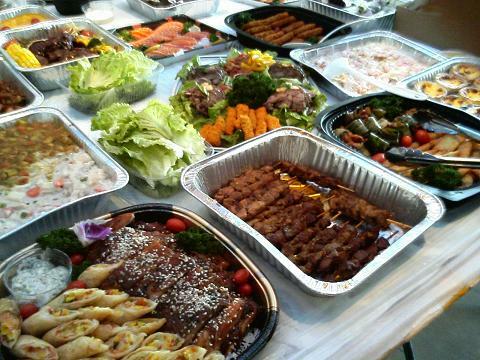 Recently, many shops and resturants opened overnight. Maybe Hong Kong people like outside for playing overnight. Therefore, now in Hong Kong 40 Macdonald resturants opened 24 hours. That's a good for us. Because Hong Kong many vehical overnight. So, more food stuffs opened overnight, it's so convenience. 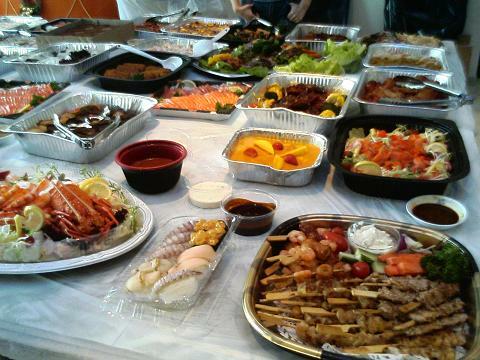 "腸粉" is a very popular food in Hong Kong. But, most it are 3 pcs for a dish. This kind a 1 pc for a dish, it's rather different. 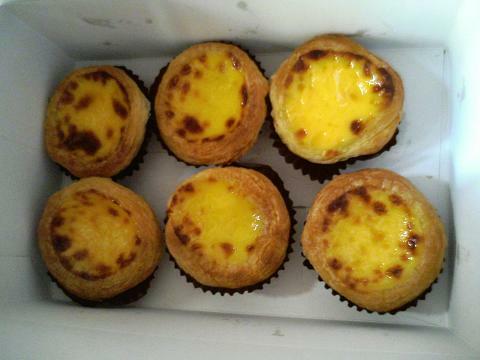 "Margret egg tart" is famous food in Macau. Since few years ago, this egg tart came to Hong Kong. It became a popular food too. I like it so much. But it's rather sweet. Now, the margret egg tart is sold from KFC. 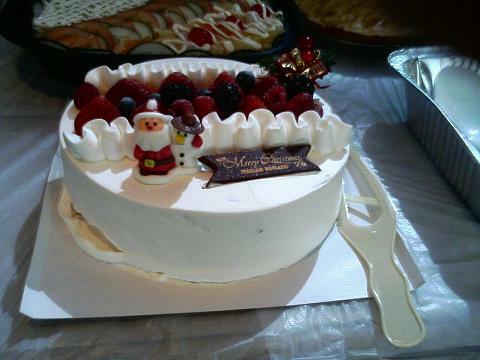 Yesterday, my office had Christmas Party. 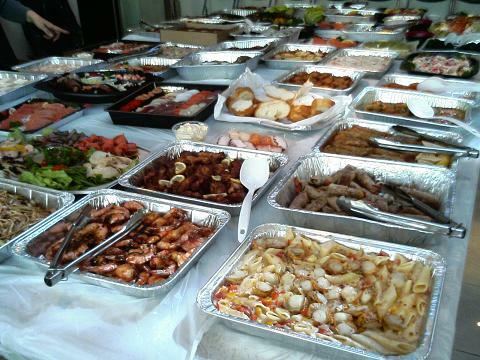 Because I prepared the food. 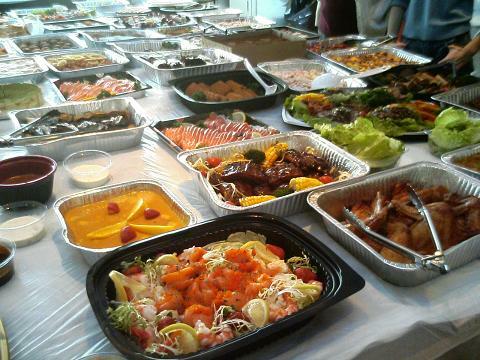 So I ordered many kinds of food that I like. 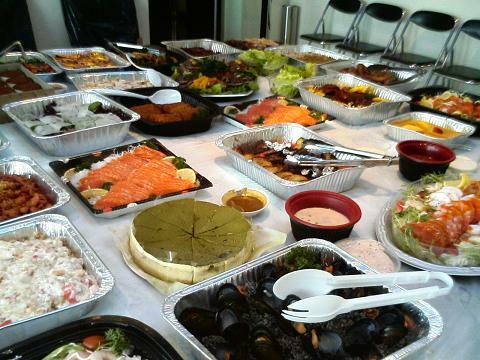 Western, Japanese, Italian etc.. My colleagues said very nice and delicious. Tonight, is Silent Night. Christmas eve. Many people went to outside for countdown. Many shopping centre full of people. Very funny and happy. In Hong Kong, Dec 25 and 26 are public holiday. So we can enjoy this festival. Oh, now, I listen the Christmas song from Christan singing on the street. 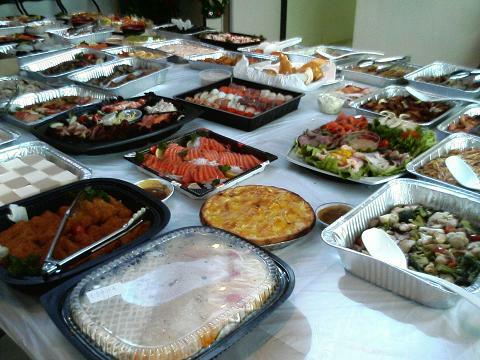 Because my office has Christmas party. 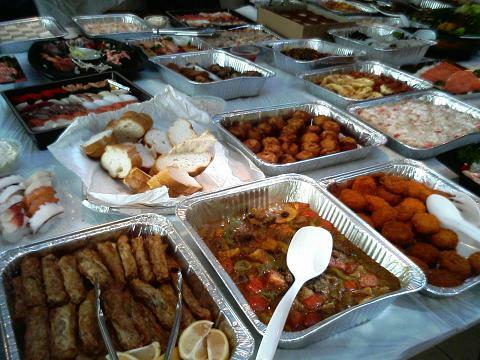 I ordered food from Spegetti House ~ a famous Italian food resturant. So I got the cash coupon HK$400. 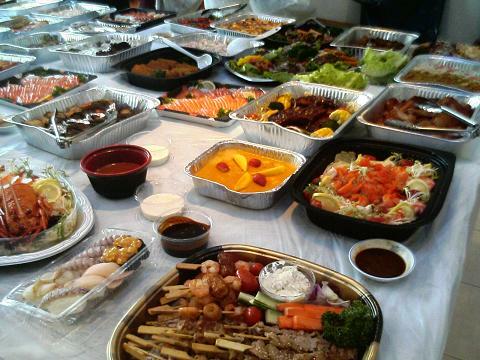 I and my mother went to there to ate Christmas Meal. 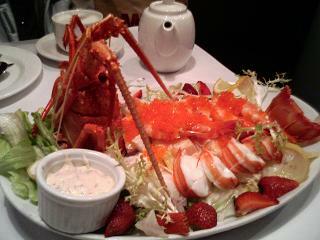 Lobster salad ~ this lobster came from Australia by air. Very fresh. It's sold HK$288. I think it's not expensive. My mother like it so much. And I only pay the balance fee HK$25. 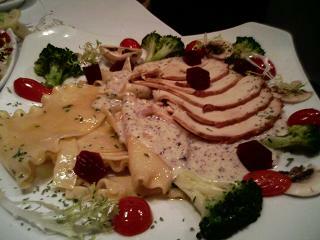 And, Turkey with Italian noodle. 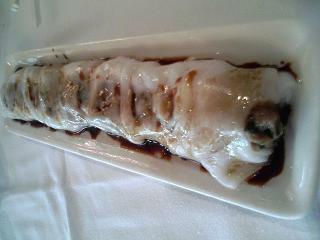 It's add olive oil, 黑松露箘 mushroom sauce, very delicious. 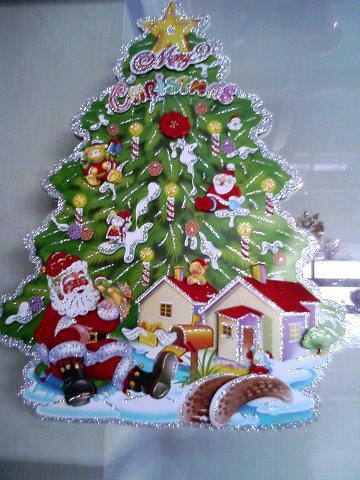 Every year, many companies and shops had Christmas decoration. Christmas Tree and Flower are popular things. 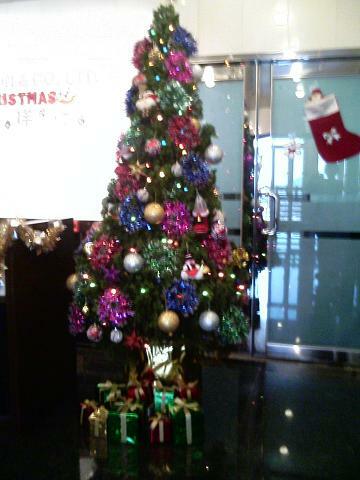 My office also had Christmas Tree and flower, my colleagues decorated them so beautiful. Now, all the place specially the shopping centre and resturant. Both full of funny because Dec 25 and 26 are public holidays in Hong Kong. Many people will go to oversea trip this period. I also hope to Japan. Waiting so long. Tonight after my working, I went to Music shop to buy B'z Live-gym in Monster Garage DVD. Then ate my dinner in Italian Resturant. And after my running in the park. Now, I am watching the DVD. Excellent! Both Tak san and Inaba san. They are so great. My brother is so happy because he didn't went to live-gym with me. (No ticket >.<) He said Tak and Inaba san's skill improved so great. I think after watching will be 3:30am. I hope I don't late to my office tomorrow. ^.^"
So missing the live! I hope I can go live-gym every year! 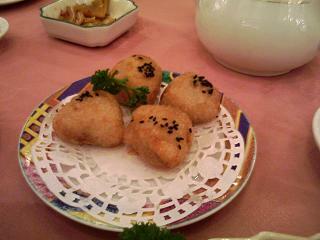 Last week, our family went to a Chinese Resturant that I never went. 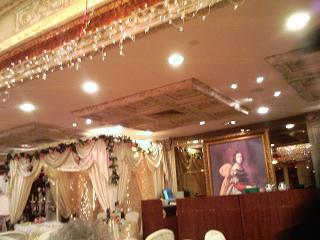 I think the decoration is so beautiful. I like the many crystal lighting. 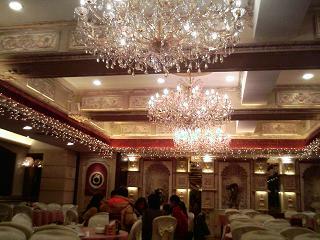 Because now many Chinese resturants have beautiful decoration to attract the couple to held the wedding dinner. 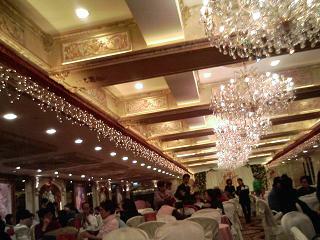 So, the decoration used European style. I like the European style so much.